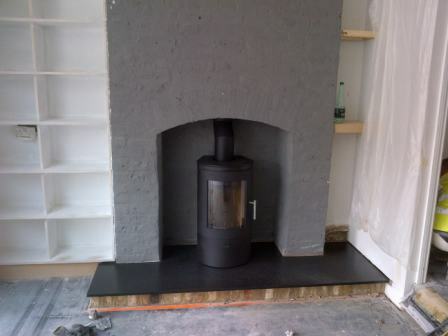 This installation of a Westfire Uniq 21 stove was the second part of a project at Hamilton-King’s clients in Chiswick. Our task was to install the Westfire Uniq 21 wood burning stove. We also supplied and installed the black slate hearth.